“Socialism takes. Capitalism creates. That’s the bottom line,” Ortiz said in defining socialism. President Donald Trump made headlines Tuesday night during the State of the Union when he celebrated that the United States would never be a socialist country. Marlow moved to discuss the Green New Deal more in-depth with Ortiz during Thursday’s interview. Marlow pointed to a ten-year projection to make the U.S. carbon neutral, even though only approximately ten percent of the country’s energy production is non-carbon-based. He called it almost a “sci-fi” concept to convert the production in that period of time. 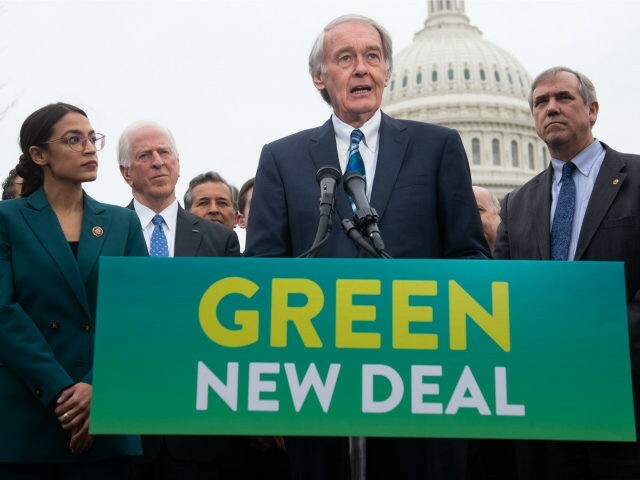 “It’s one of the most regressive things that you can do to our middle-income families,” Ortiz said of the carbon-neutral deadline, along with Medicare for all in the Green New Deal. He pointed out that America has become a net exporter of energy: “That’s an amazing turnaround story, and we need to be celebrating that.” He said this has helped the American economy prosper the way it has. Ortiz focused in on the excessive red tape and tax cuts that the Trump administration has accomplished. He then pointed to the two-thirds of job growth small business owners produced. 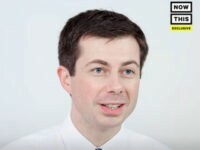 He called ideas like the Green New Deal “dangerous” and teed up his description of Democrats: dangerous, duplicitous, and disingenuous. Ortiz said Republicans lost in 2018, in part, because it was not enough to talk about the tax cut bill vote; they needed to talk about the personal effects on Americans. For example, the first time non-supervisory wages are outpacing supervisory wages, 304,000 net jobs, and three percent GDP growth rate. He said it affects every demographic group, including the historic low unemployment for several groups. 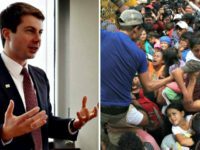 “They’re certainly not building walls in Venezuela to keep the Americans out, right?” he added. Ortiz further pointed taxpayers to look not just at their refund checks to see the effect of the Tax Cuts and Jobs Act, but to look at the withholding tables and how much more they are taking home each month than before. He said keeping more money in your pocket along the year means you are not giving the government an “interest-free loan” through the year.